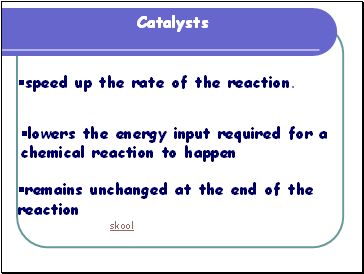 speed up the rate of the reaction. 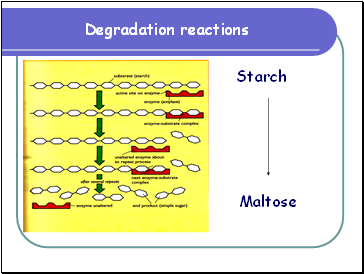 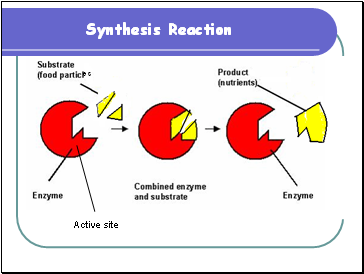 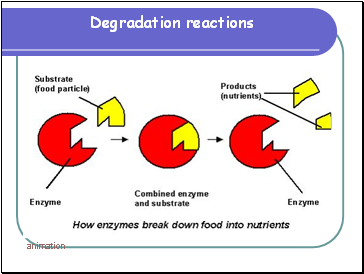 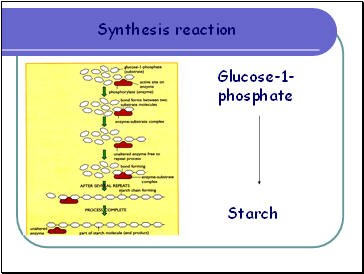 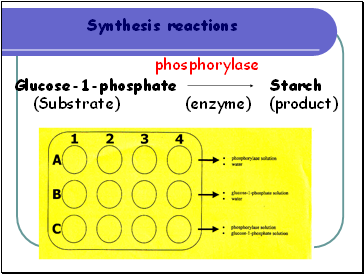 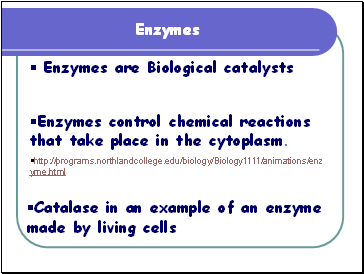 Enzymes control chemical reactions that take place in the cytoplasm. 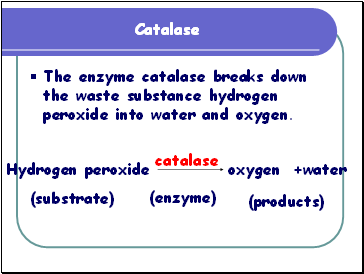 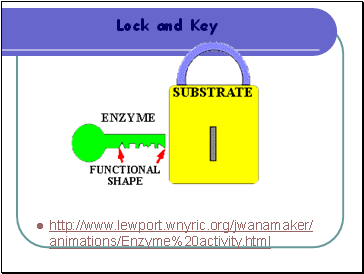 The enzyme catalase breaks down the waste substance hydrogen peroxide into water and oxygen. 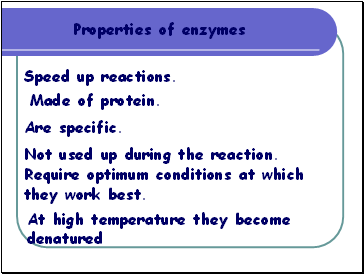 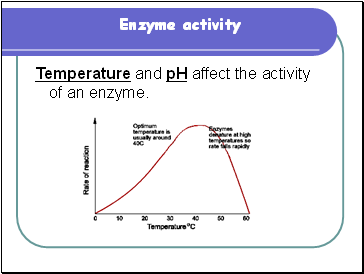 Temperature and pH affect the activity of an enzyme. 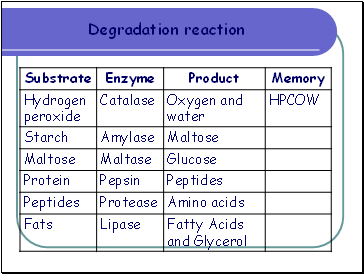 Not used up during the reaction. 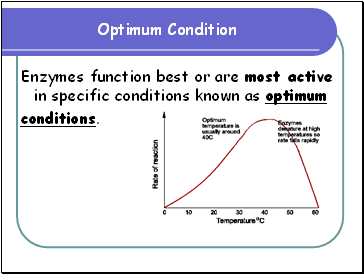 Require optimum conditions at which they work best.